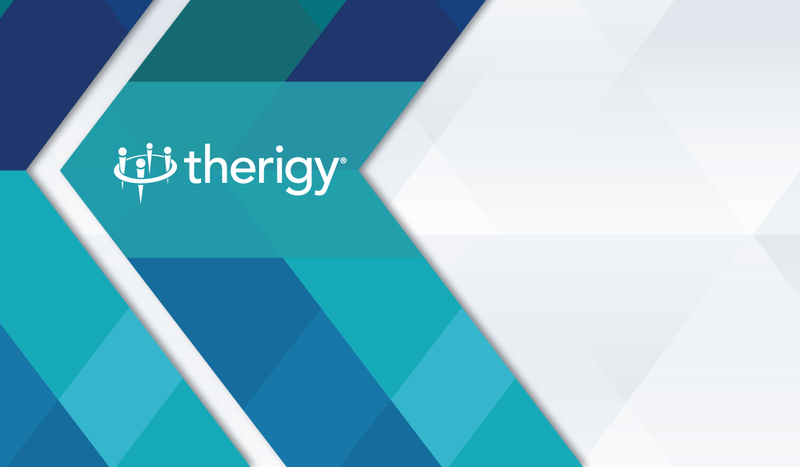 Maitland, FL — Therigy, the pioneer and leader in developing cloud-based medication therapy management solutions, is starting 2018 strong by creating more value for new and existing TherigySTM customers through its bundle of product and system enhancements. These new solutions were developed to help specialty pharmacies save time and money through a comprehensive suite of four patient-centered therapy management solutions: TherigyOnboard™, TherigyAssure™, TherigyInsights™, and TherigyEngage™. Specialty pharmacy staff can now make the onboarding and referral management process easier and more efficient with automated triggers. They can track re-authorizations, eliminate double entry, increase the accuracy and integrity of data, and improve communication and reporting between stakeholders. TherigySTM integrates with leading dispensing systems. As the core product of TherigySTM, TherigyAssure helps pharmacies save time and money, meet accreditation standards, and consistently deliver high standards of care with the best possible outcomes for all patients. TherigyAssure makes this possible through complete, ready-to-use care plans and assessments based on the very latest clinical evidence and best practices across 23+ disease states, with 900+ assessments, supporting 400+ medications. As an option now available within TherigyAssure, the new Specialty General Meds module makes it possible for specialty pharmacies to easily manage all patient populations (any condition, any medication) in one system — including patients on orphan or pseudo specialty drugs. TherigyInsights has a portfolio of reporting and data analytic solutions to help specialty pharmacies monitor onboarding, operations, and clinical performance. They can assess the effectiveness and efficiency of staff, meet accreditation requirements, generate reports for payers and providers, and prove the value of their clinical programs. They can access preconfigured reports or customize their own internal and external reports. There’s no limit to how their data can be structured. This level of flexibility is particularly vital in supporting specialty pharmacies of all sizes and volumes. TherigyEngage is the gateway to a world of mobile patient engagement and digital communication and education tools. With TherigyEngage, specialty pharmacies can meet URAC multi-lingual, multi-modal requirements and tap into new ways of helping patients achieve the intended outcomes of their medication therapies. Specialty pharmacies can extend care beyond traditional channels and meet patients where they are—on their mobile devices. With automated access to on-demand, patient-specific medication videos that complement TherigyAssure’s clinical content patients can watch videos anytime in the media format of their choice, in English and in Spanish. Specialty pharmacies can schedule a “test drive” or learn more about Therigy’s 2018 products and enhancements by contacting us by phone: 844.4THERIGY; email: supportcase@therigy.com or website at: http://www.therigy.com/.